LeRoy Davis was born July 19, 1937. LeRoy trusted Jesus as his Saviour at the age of 5 and a year later he was filled with the Holy Spirit. God called him to the ministry when he was 10 or 11 and he preached his first sermon, The Rich Man And Lazareth, at a youth group shorty thereafter. When LeRoy was 10 years old he met Shirley Lindsay who was later to become his wife. On April 5, 1958 he was married to Shirley with his father, Rev. A.C. Davis, offiiciating. The song, Submission, was sung while LeRoy and Shirley knelt at the alter during the ceremony. Their lives and their marriage was dedicated to God. Currently they have been married 59 years. In 1961, they moved to Augusta, Georgia to pastor a small church. 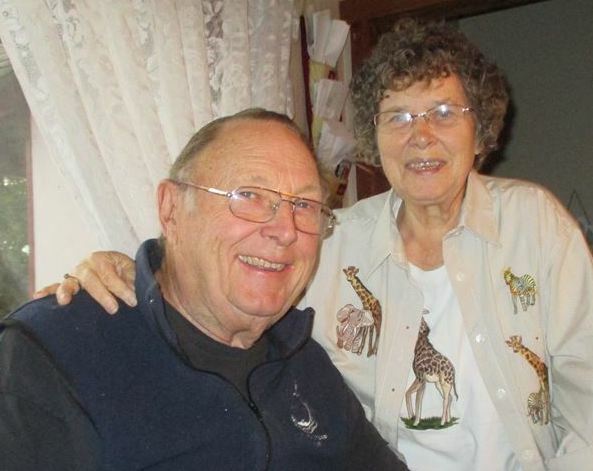 And then, in 1964, they traveled to Kenya, East Africa where they were to spend 10 years in missionary service. During this time LeRoy came to be in charge of the mission station and founded a Bible School. It was also during this time that he wrote many courses including The Covenants course that is available on Free Bible Study Lessons. They returned to North America for good in 1974. They then travelled around in an old motorhome speaking in various churches especially in the southern United States. On Oct 30, 1975 a vehicle accident stranded LeRoy and his family [which included 3 children] in Prince George, British Columbia. Through the leading of the Lord, LeRoy founded a church in Mackenzie, British Columbia north of Prince George - from the equator to northern Canada! In Mackenzie, Pastor LeRoy also began a Christian School using the ACE program. In 1988 Rev. LeRoy turned the church in Mackenzie over to Rev. John Fuller and moved to Prince George to come on staff of a larger church were he oversaw their Christian training program. Mrs. Shirley Davis enjoyed writing poems including putting many Bible chapters into poetic form. When LeRoy and Shirley retired they enjoyed living full time in their motorhome. On occasion they would help churches who were between pastors or whose pastors were on vacation. Later they would spend their summers working in a trailer part in Valmont, BC and their winters in Arizona. LeRoy and Shirley continue to live full time in their motorhome.